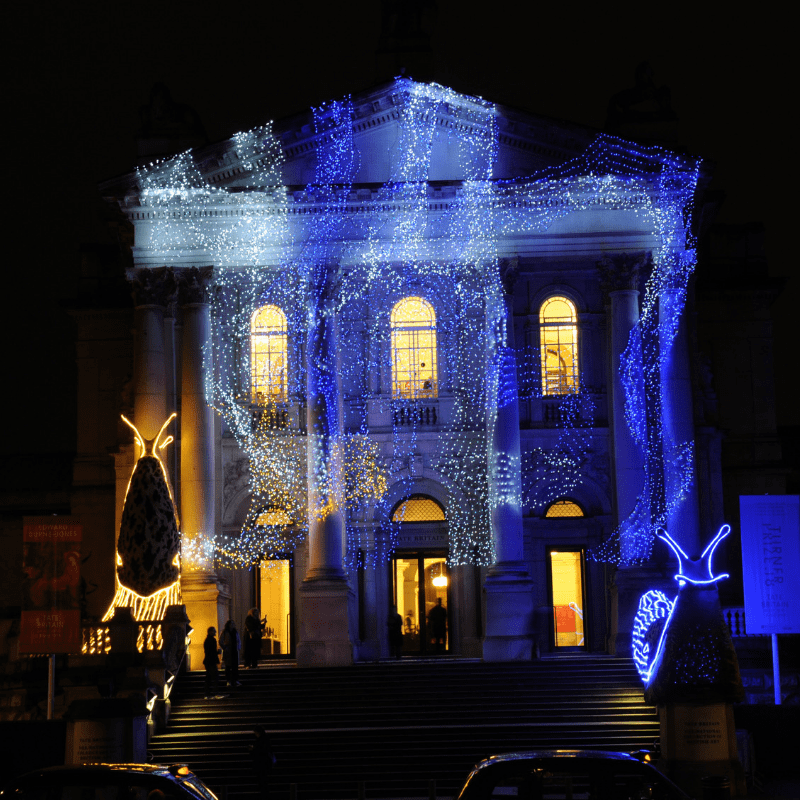 As part of the Tate Britain‘s annual commission to mark the festive season, the wonderful, anarchic artist Monster Chetwynd has created two GIGANTIC slugs to stand pride of place, shimmering over the outside of the art gallery. 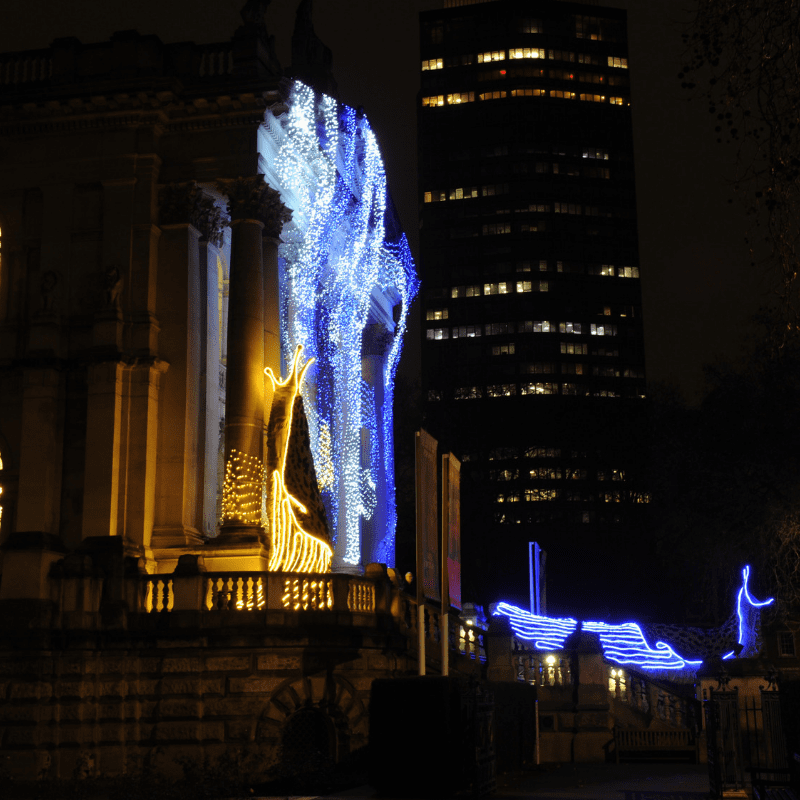 Their shiny slime is glimmering with blue & white LED net and rope lights supplied by yours truly, Festive Lights! 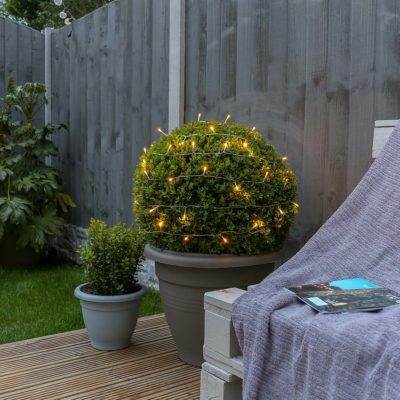 The slugs measure more than 10m tall and are covered in hundreds of LEDs! 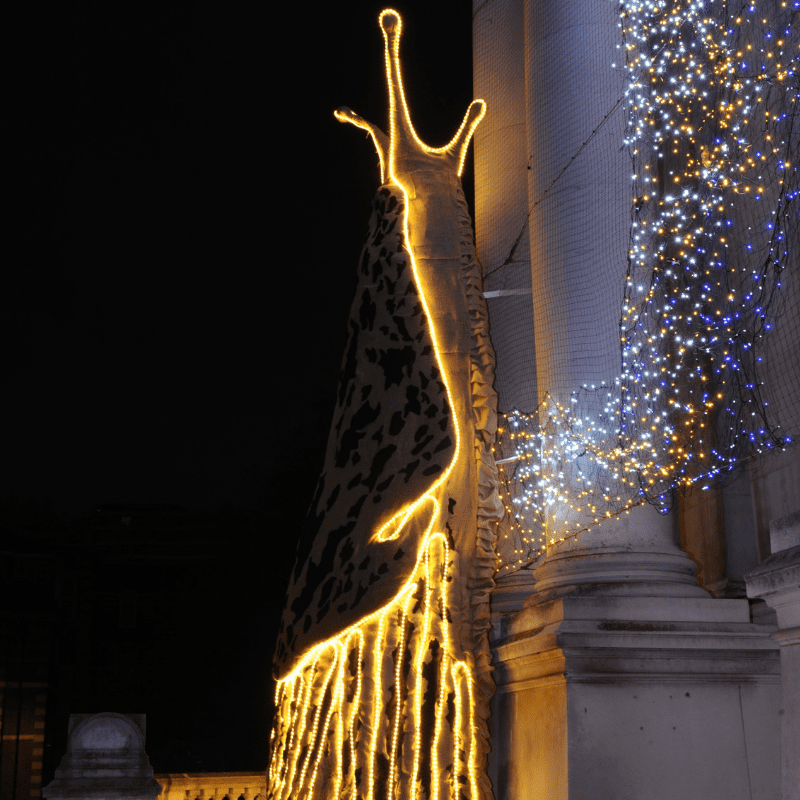 The artist took inspiration for this piece from Sir David Attenborough’s nature series in 2005, ‘Life in the Undergrowth’, in which it shows the unique mating ritual of the leopard slug. 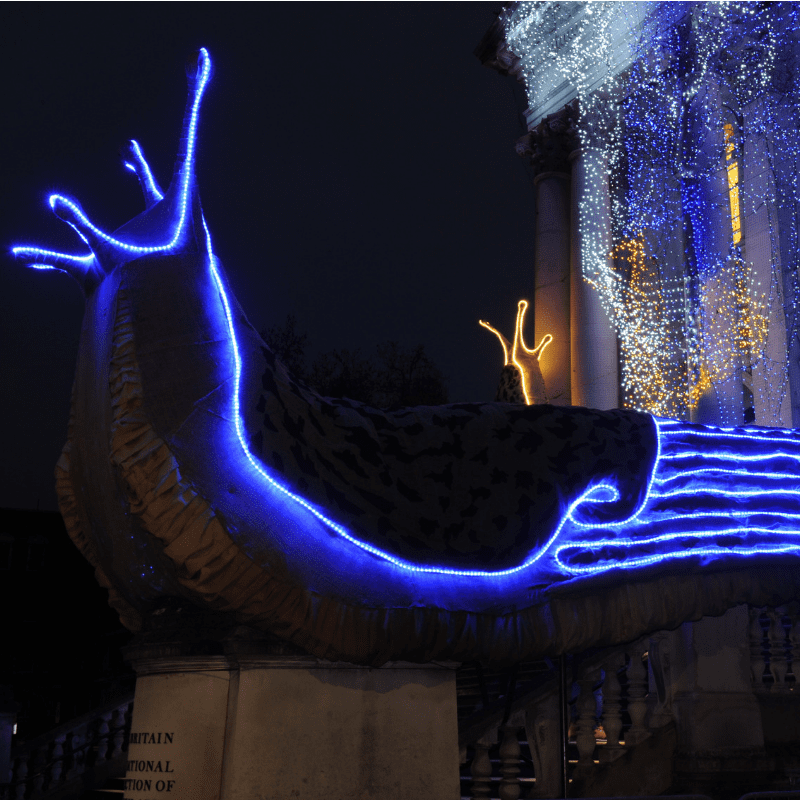 In order to reproduce, the slugs dangle from glimmering slime in darkness, which glows blue from around their heads down through to the slime as they mate… After all, nothing says Christmas quite like some glittery, glowing slug slime! 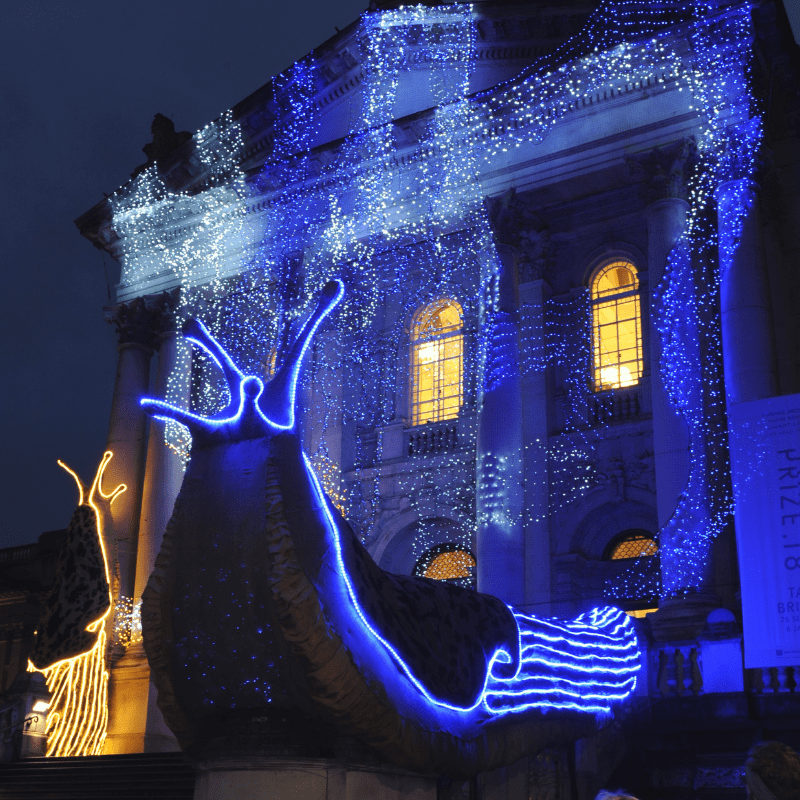 If you want to go and check the slugs out, they’ll remain at the Tate Britain until 25th February 2019! 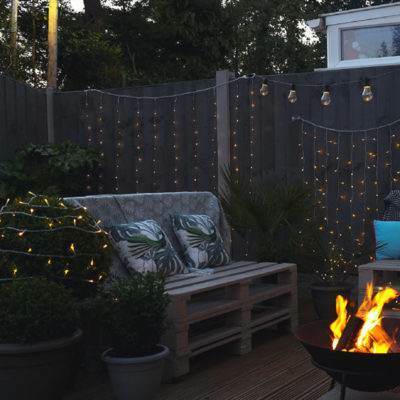 If you visit, be sure to let us know in the comments section, and don’t forget to share your images on Twitter or tag us on Instagram, making sure you use our hashtag #ShareTheJoy and we’ll share our favourites! 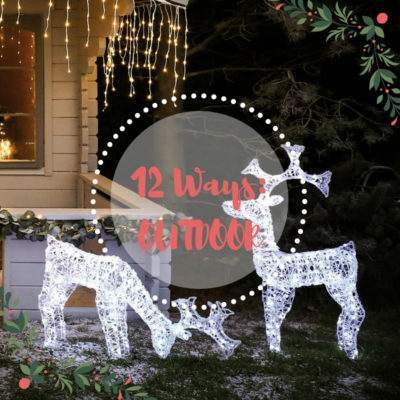 ….. It’s the most wonderful slime of the year! 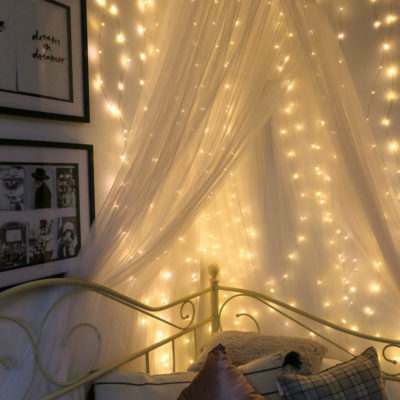 Can I use my outdoor battery fairy lights indoors too?